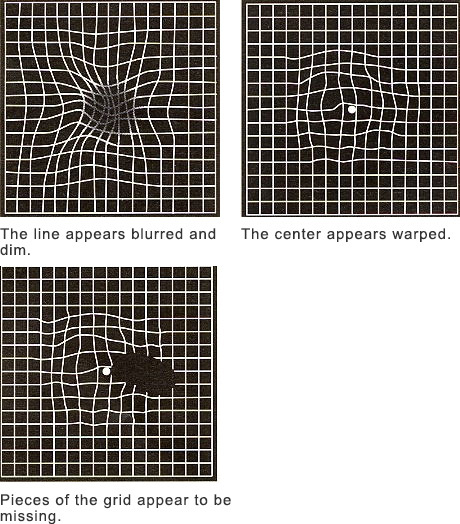 In this examination, you will look at the center of a graph to examine whether there is a problem with macular degeneration or any other conditions of your eye. 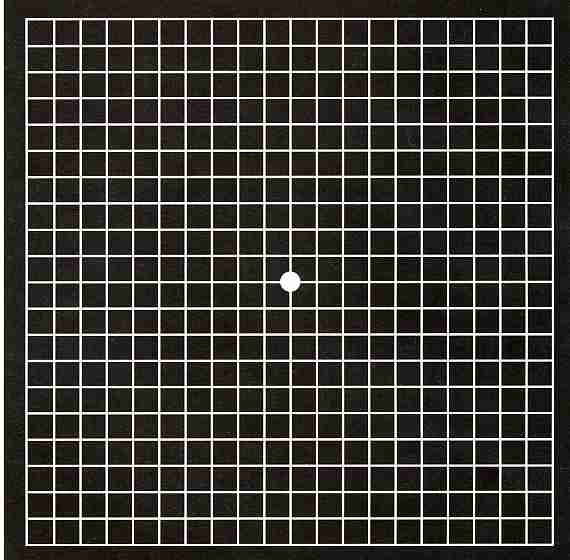 Focus on the white dot in the center of the grid and check the view of your both eyes separately by covering each eye. If you have any of these symptoms above, please contact an ophthalmologist as you are at risk of Age-related macular degeneration.